Product categories of Tumble Belt Type Shot Blasting Machine, we are specialized manufacturers from China, Tumble Belt Type Shot Blasting Machine, Tumble Belt Shot Blasting Machine suppliers/factory, wholesale high-quality products of Rust Removal Sand Blasting Machine R & D and manufacturing, we have the perfect after-sales service and technical support. Look forward to your cooperation! Tumble Belt type Shot Blasting Machine is used for cleaning or reinforcing various small , medium forged spares, casting and sheet metal spares parts . Size of work piece being cleaned (mm) Max Length:L=600 . 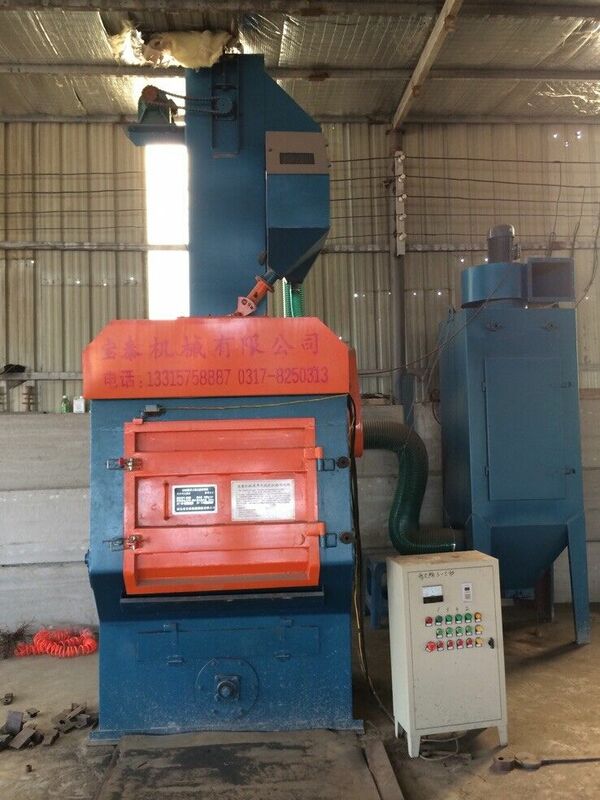 Machine size(L×W×H ) : 2500×1200×3900mm.